Even though we’ve moved four times since 2010, I have to say that moving doesn’t really get any easier with experience. 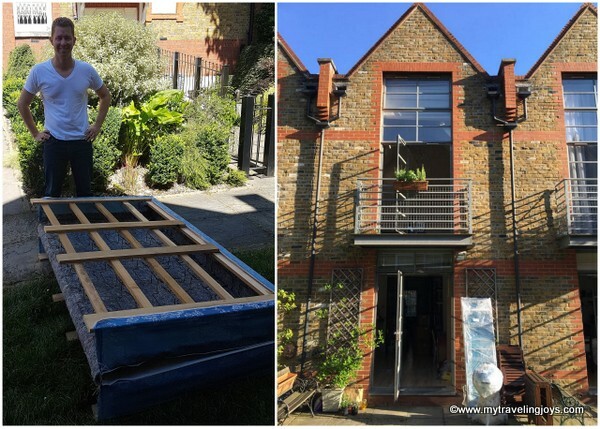 Moving house is still one of the most stressful experiences, in fact, it’s renowned as being one of life’s biggest cause of stresses, close behind divorce and bereavement. I have to wonder why we move all the time then. Luckily, our marriage has survived these four moves together, most recently to London. 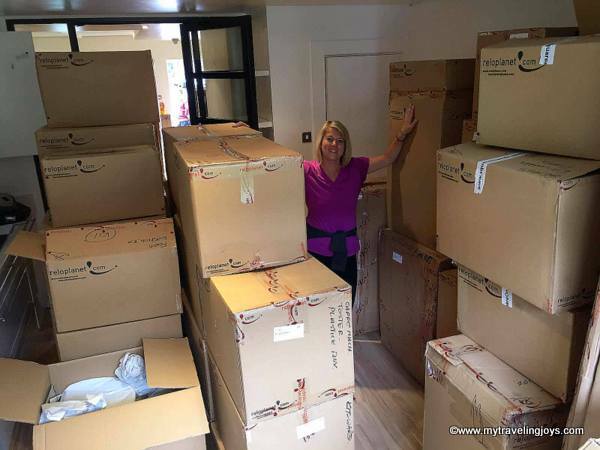 Stacks of moving day boxes taller than me in London! It’s been 11 days since the friendly Romanian unpackers arrived on time at our doorstep meanwhile the Polish truck driver showed up nearly 3.5 hours late. Apparently, the moving truck was so big he couldn’t figure out which bridge to drive under to reach us in southwest London. I frantically had to call the manager in Warsaw several times, relay bus routes the driver could follow and finally send the unpackers to get the truck. I was pissed, and even told the manager this was B.S. Until this incident, the moving company had been pretty good. Not off to a good start. 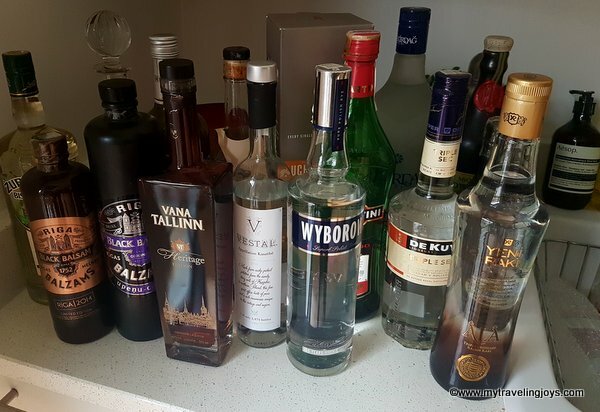 Here are a few other tips I learned from our latest expat move. After this move, I almost wish we had sold all of our American furniture before we had moved abroad six years ago. Our L-sectional leather couch has a tough time fitting through many doors. Same goes with our king size bed. However, what we had trouble with this time is the box spring for our queen size bed. This didn’t fit up the awkward-angle staircase or through the large window in our master bedroom. Hubby sawed the box spring in half since it wouldn't fit through the window upstairs! So on day two of our move, I went to our local hardware store to buy a hand saw and Googled how to cut a box spring inhalf. Literally! I showed our unpackers, but after examining the box spring, they declined. I don’t blame them. They didn’t want to be held liable even though I said it would be okay. Over the weekend, hubby successfully sawed through the box spring, folded it in half and we got it upstairs together. Whew! Trust me, you will want someone with you on the day of your move to either help, provide moral support or to run out and grab lunch for your starving soul. I told my husband there was no way in hell I was going to be by myself. In Istanbul, I was by myself. In Warsaw, he was home for two hours before he went into his new office. Luckily, this time, he stayed home the entire first day and helped me check off boxes or directed the movers where to go. I’m very thankful! Our flat, which is nearly 30 percent smaller than what we’re used to, still has quite a few unpacked boxes. The problem is we have no storage in this flat, which means we must get rid of things or buy some new storage wardrobes. Anyone want our Turkish washing machine, a large wardrobe closet or an American oak dining room table? 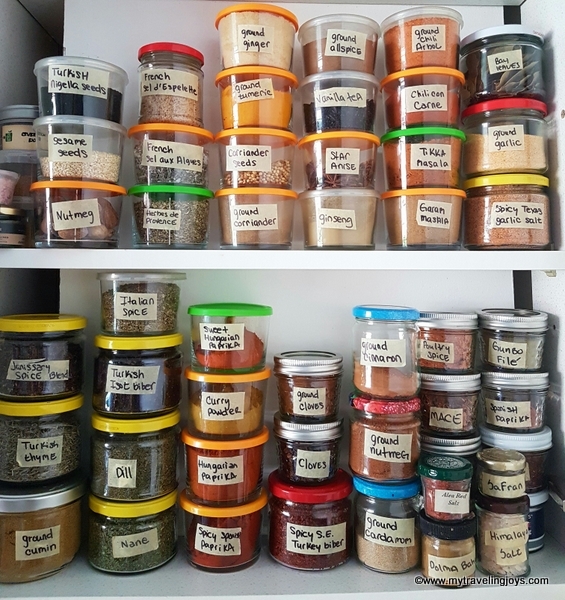 I tossed tons of old spices and reorganized the ones I had left. It's all about mise en place when cooking! Not surprisingly rent in London is stupid expensive! In order to live in the area we wanted, we had to make some sacrifices, which means living in a smaller space and a little bit farther away from a train station. Now as I unpack each box, I must scrutinize all our stuff – like a 2002 edition of the Far Side desk calendar, years of cooking magazines, a trifle bowl, unworn high heels, etc. It does feel liberating to chuck out our unnecessary crap! Moving is a tough, sweaty job for anyone, so I always buy some plastic glasses and water. The movers or unpackers will appreciate the gesture. A little kindness goes a long way. At the end of said stressful moving day, I couldn’t even think about cooking. 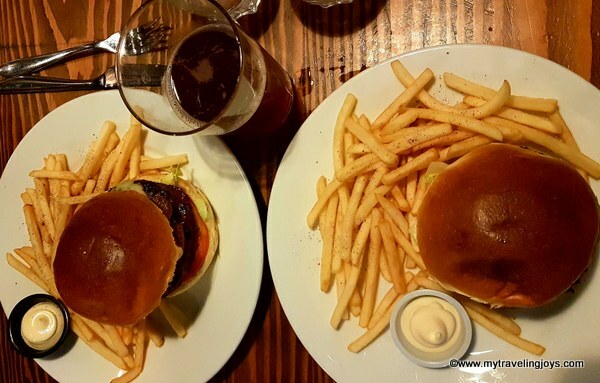 We went to our local pub and enjoyed £10 burger and beer night. On day two, after spending all day unpacking my kitchen boxes, I picked up Thai takeout for us to enjoy. Even though I prefer to cook at home, the reality of having a prepared meal was much more rewarding. Hopefully, this will be our last move for a few years. Honestly, I’m tired of moving and would like to feel like I belong to a community for once. Anyone else ever felt like this? Most importantly, we found the bar box, which was labeled as cleaning supplies. Nice! Welcome to London! What part of town are you? For items you want to sell or get rid of, try the Ex-pat Swap Meet on Facebook. Oh man, I can feel the stress even just reading the post. 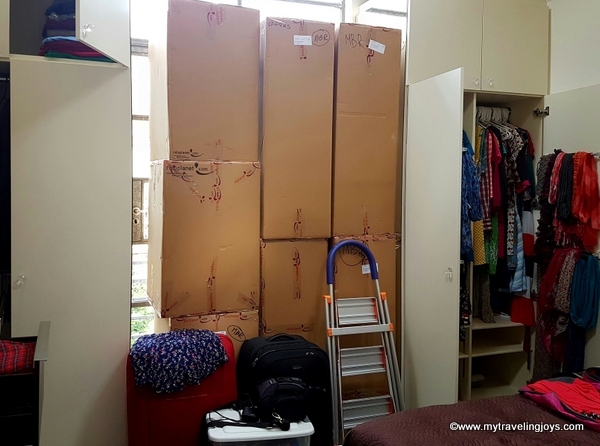 Moving is never a piece of cake and even worse (in my experience anyway) in another country. I must say your spices are on point Very organized! Good luck unpacking. Well congrats on surviving so many moves. You give the rest of us hope! As much as I want to keep moving, I too want to belong someplace. I felt this in Amsterdam, which is why I want to move back! Enjoy London! I so agree with you, and that is why my next move is my last--back home! And I ditch more stuff every time because I just don't want to deal with it again! However, I would move one more time for a chance to live in London. You are lucky! Once this (horrible) week or two is over, you'll be able to start enjoying it. Hang in there! i think i would have put everything in storage and lived on the cheap! that's a lot of work especially when you don't know how long you will be there. hope you settle i soon! 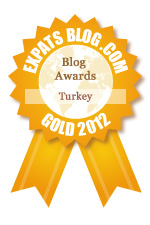 I think I've said 'Güle Güle Oturun' to you enough now - I hope you get to settle in London. Good tips! Moving is never easy!